Other number 12304 Verso: Negative No. 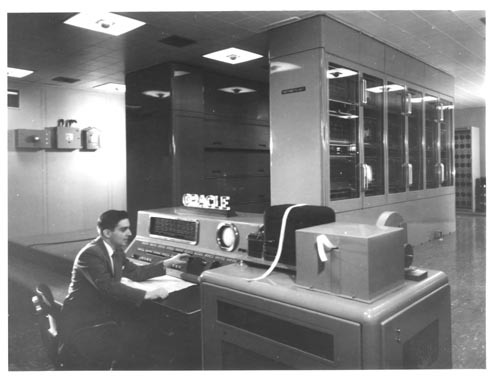 Black and white image of a man seated at the ORACLE console. In the background is the computer. To his right are two paper tape devices.